Moscow (AFP) - In a city with a homophobic reputation and just a handful of gay bars, LGBT Muscovites and World Cup guests have found an unlikely new place to socialise -- a match-screening area for gay and ethnic minority football fans. As the England-Belgium game played through a projector on Thursday, a young crowd of mainly gay men and women were drinking beers, lounging on bean bags or sitting on the astroturf carpet in 'Diversity House' in central Moscow. Even the Russian security service agents who have been assigned to monitor events at the house have on occasion got into the spirit of things -- eating rainbow cake and sipping champagne at one recent party, according to organisers. The temporary venue, backed by the international anti-discrimination network FARE, is located in what what is normally an alternative theatre space and hosts exhibitions as well as talks from activists. "It's actually a space where gay people can come and behave as they want, meet in a normal atmosphere, and I haven't heard of any places like that in Moscow before," said 22-year-old Viktor Tronin. The business development manager said he was not normally a fan of football but had been bringing friends to the venue, which has become more popular with gay spectators as the tournament progresses and news of the house spreads on social media. "There's not so many spaces where you can come in, be yourself and watch football," said Pavel Klymenko, the Eastern European development director for the FARE network. "Essentially this is a space to celebrate diversity, we think the World Cup is an amazing opportunity to do so." Klymenko said up to 100 Russians and tourists a day were visiting Diversity House, where rainbow flags and posters extolling the achievements of ethnic minority and women players deck the walls. But he highlighted the fact that some events at the venue had been monitored by officers from the FSB, the successor to the KGB, and he did not know what they might do with the information they had gathered once the tournament was over. "It's weird having them here, of course," Klymenko said. "Our main concern is what happens after the World Cup... how it's going to turn out for the activists." A second Diversity House in Saint Petersburg was forced to change location at the last minute after the landlord of the building pulled out, in a move organisers believe was politically motivated. LGBT activism is severely curtailed in Russia under a 2013 "gay propaganda" law that officially forbids the promotion of "non-traditional sexual relationships" to minors but effectively outlaws protest. 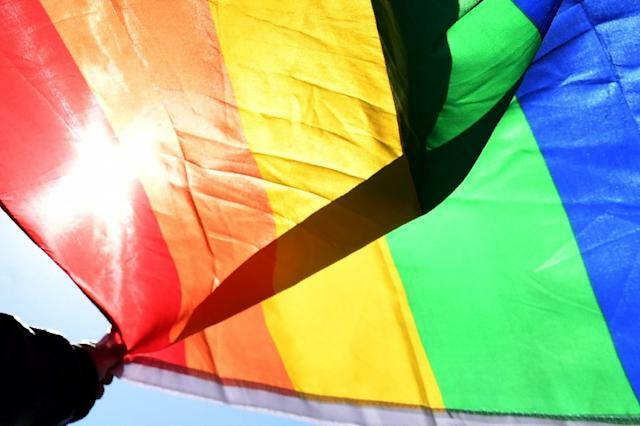 Campaigners have been charged for sharing information about LGBT rights on social media and detained for carrying rainbow flags at demonstrations. Elena Belokurova, the coordinator of the Saint Petersburg Diversity House, said she had followed other activists' advice and hired security for LGBT-themed events at the space. But so far there have been no problems at the relocated venue in the centre of Russia's second city, she told AFP. "We've seen how essential a place like this is in Russia, for people to come together and talk, communicate. It's a real shame we don't know how it will be after the World Cup...we hope it will continue," she said. In Moscow, England fan Joe White said he had been nervous about coming to Russia as an out gay man but had received a warm welcome so far. He and Di Cunningham of the English Three Lions Pride fan group were at the Diversity House to discuss their experiences in the country during the tournament. The pair received violent threats before travelling to the World Cup, with one anonymous email showing a man's hand holding a switchblade and a warning that the sender would be waiting to stab them in Russia. "But we've also had messages from Russians saying, 'We hope this doesn't put you off, this is not what most Russians are like. We've seen the coverage of you coming over here and we hope you're having a safe and fun time'," White said. "It's completely overshadowed the negativity."